You may drive out Nature with a pitchfork, but she will always come back. It’s a dark, moonless night in early June. To escape the light pollution of my native town, at least once a year I make the pilgrimage north to the pristine, dark skies of Sleeping Bear Dunes National Lakeshore on the shores of Lake Michigan. There I rent a cottage at the Shady Shores Resort on the bank of Little Glen Lake and spend the days walking exquisite trails that lead to overlooks hovering hundreds of feet above Lake Michigan. At night I pack up my telescope and head out to a favorite observing site. Twilight has past and darkness has fallen. Silhouettes of pine trees hug the horizon, illuminated by starlight. They punctuate the skyline and bridge the Earth to sky, a comforting reminder of where I stand on the face of our living planet. The night itself is deep and laced with mystery, extending off into the trees and countryside, and extending out endlessly into the infinite depths above. It’s early in the season so my activity is greeted by the song of some crickets, but not by the full-blown insect chorus of the late summer. In the sea of darkness I seem isolated and exposed; a shuffle of activity making final preparations under the glow of a red flashlight. The telescope itself is large, extremely heavy, and rock solid. Having mounted it firmly on the tripod, I’m making the final electrical connections. The telescope is motorized and has a 64,000 object database. Now that it’s plugged into my car’s electrical system, I need only type a few keystrokes into the hand-controller and the telescope will slew across the sky, center any selected object in the field of view, and emit a beep--a wordless indication that observing can begin. At this time of year it’s impossible not to explore the rich starfields by the constellation Sagittarius. Shaped like a giant teapot, Sagittarius is climbing higher in the south. From the spout of the teapot emerges the hot, white steam of the Milky Way, a particularly brilliant and shining starcloud. . . . Right off the tip of the giant teapot is the heart of our own Milky Way Galaxy, some 25,000 light-years away. Encircling this core are the billions of stars that make up our galaxy and through a medium-size telescope you can see endless wonders. The region is rich in star clusters and contains the awesome Trifid and Lagoon nebulae, glowing clouds where new stars are coming to birth. But just as striking are the dozen or so globular clusters that you can see orbiting the central hub of our galaxy. The globular clusters are tightly packed spheres of ancient suns, each one containing between 500,000 and a million stars. Through a telescope they are a stunning sight, like countless diamonds huddled together in a sparkling, shivering orb. Like the Roman god Janus, technology has two faces. On the one hand, technology separates and insulates us from the world. Because of the effects of technology, I am no longer able to experience the deep beauty of the sky and the Milky Way in my hometown. On the other hand, thanks to technology I am able to gaze into the deepest heart of our galaxy from my northern hideaway and actually understand what I’m looking at. Science and the development of technology go hand in hand, and the ever-increasing precision of technology has allowed us to gaze ever deeper into the microworld of the atom and the macroworld of the greater universe. And in the process, our observations and insights have increasingly eroded the premises of the mechanistic worldview. In fact, modern physics has proved that every major assumption of Newtonian science was flawed or incorrect. It is no exaggeration to say that we are living in the wake of a cosmological revolution, for the most astonishing scientific discoveries of all time have been made only over the past one hundred years. These discoveries, made in astronomy and physics, have completely changed our understanding of the nature of matter and humanity’s place in the seemingly infinite cosmic tapestry. While this revolution is far from over, as philosopher E. A. Burtt pointed out, a cosmology or world picture is a civilization’s most vital possession, for our worldviews affect the way that we understand our relationship to the world and other people. As he wrote, “In the last analysis, it is the ultimate picture which an age forms of the nature of its world that is its most fundamental possession. It is the final controlling factor in all thinking whatever.” If the mechanistic world-view had implied that matter was dead and humanity was essentially distinct from nature, that viewpoint had inevitable social and ecological consequences. Now under the spell of the new discoveries, matter itself has returned to life. 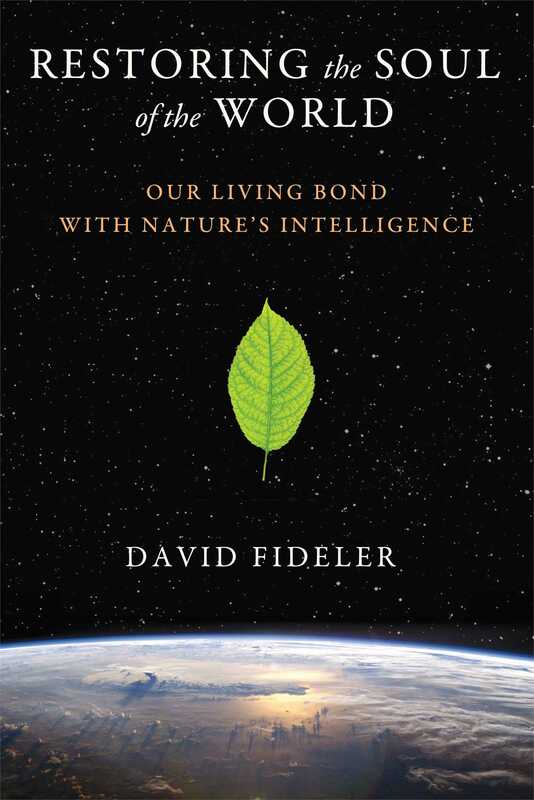 Nature can no longer be seen as a static, unchanging machine, and we now understand that all living beings are deeply interconnected, having emerged from the unfolding tapestry of the evolutionary universe. By necessity, as this vision becomes more deeply assimilated by society, it will affect the way that we envision human nature and relate to the world in the twenty-first century. "Dr. Fideler focuses on the inroads that have been made in working with living organisms to clean up toxic wastewater and regenerate entire ecosystems. His vision is for us to participate creatively in cultivating all life and restoring the beauty, fertility and resilience of nature."